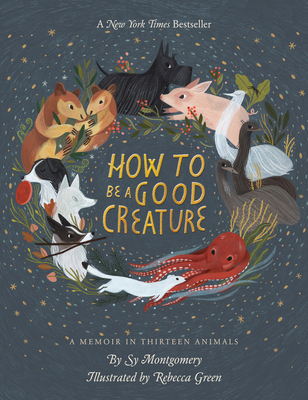 Sy Montgomery celebrates her animal friends and family in thirteen essays that are essentially love letters! Starting with Molly, the Scottish terrier who was her big sister, and Christopher Hogwood, who we met in The Good Good Pig, we learn about the personalities and quirks of a weasel, an octopus, a trio of emus and others. Interspersed with these stories are delightful drawings by Rebecca Green and the book closes with a collection of photos of the author and her four-legged and feathered friends. A good read for all ages!